Red Thread Creative is dramatically improving website design Bristol and helping our clients with much-improved website performance, Search Engine Optimisation and Content Management Systems. Because we can harness the huge advances in software and platform development, the website design we create today is FREE from the shackles of yesterday’s technology. Most businesses now recognise the massive role that the quality of the company website plays in how their audience perceives them. It also communicates how they see themselves, reflects their brand and their standing within their business arena. Web design in 2018 also communicates trustworthiness, customer care and quality expectations. Yet there are still a huge number of businesses today with websites that are massively out-dated. Websites that are badly designed and as a result provide poor user experience, won’t get good results. We would also have to assume that the owners of these out-dated websites have limited or no opportunity to edit or update their website content. Out-dated website technology usually means a poor or non-existent website content management system. Having potential customers find you quickly online is a real pleasure, something that Red thread Creative has experienced first hand as a result of our own highly-rated website performance. When clients come through this window, there is no further ‘sale’ to be made. These clients have already experienced what Red Thread Creative can provide in terms of good, responsive website design, website optimisation and SEO performance. Recently a company we had the pleasure to work with approached us via a Google search for “CMS website design in Bristol”. Having found us on the first page, we soon met to discuss what issues their business was facing and who they were trying to compete with online. The business in question supplies high-quality lighting for a very demanding hospitality and hotel market. Their customers were constantly seeking the latest, cutting-edge, creative and bespoke products to help deliver high-quality experiences. However, the client on this occasion had recognised that “cutting-edge” and “high-quality experience” were not words to describe their existing web presence. Their current website had been designed and built some years ago and was sufficient for their needs at the time. However, with modern product development and increased competition, the website no longer reflected their business offering as an online communication in 2018. Providing greater administration control of their new website was crucially important and something which WordPress development today can incorporate well. Quality website design from Red Thread Creative takes into account the inherent availability of Content Managed Systems (CMS). We make sure that website owners can easily access, edit or remove website content, without destroying the pre-determined creative design. We will also help our clients understand what is required in terms of quality input and restrict website administration access to areas where a lack of development skills could potentially damage the website. Our website development team is also able to develop WordPress so that the client’s new content management platform is tailored precisely to their needs. We were able to establish a few ground rules by discussing the project with and listening to our client. 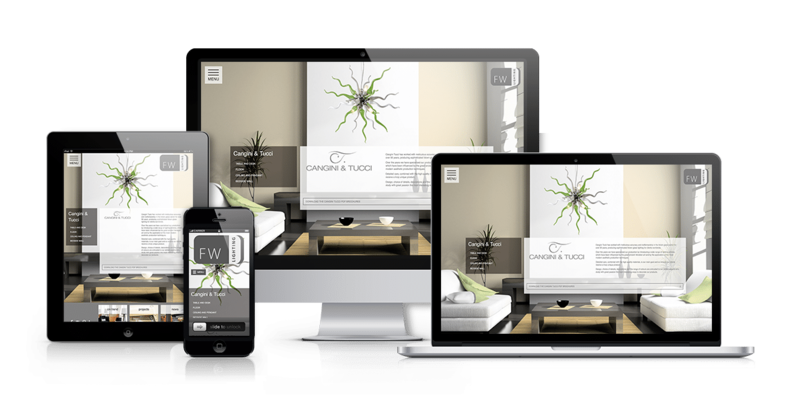 The website design needed to dramatically elevate and communicate their offering. Design needed to look amazing. We needed to take advantage of very high end photography. Be sympathetic to the subject matter, both dynamic yet minimal. Allow the products to shine. Provide all the information a visitor needs without over-crowding the page. Make the website feel intuitive when navigating around. The project was a total success and beautifully created. One comment from the client resonated with us, “the website is exactly how I imagined it to look, well done!”. Combine this with the tailored Content Management System and the new business opportunities for this client are much clearer to see.